Ferretti Beach Hotel , 4-star hotel in Rimini Mare, has refined rooms, open-air porch, garden, wellness center MY SPAce with indoor pool of 24 sqm and relaxation area. Admits animals of all sizes. The Ferretti Beach Hotel is located in Marina Centro, on the seafront of Rimini, overlooking the shopping avenues and the main boutiques, a few steps from the beach and the bathing establishments. The bus line n. 11 connects the promenade to the historic center of Rimini and Riccione. The rooms have a balcony with chairs and a table, air conditioning, a 26 "LCD TV with premium mediaset, telephone, WI-FI, coffee maker, electronic safe with internal pc recharge, minibar, private bathroom with magnifying mirror and hairdryer. BEACH AND BEACH PLUS: private balcony facing the sea (for a small fee). EXECUTIVE: large balcony sea view, Jacuzzi for 2 people with chromotherapy and heated water, located on the private balcony. OVERVIEW: for 4 people, with bunk bed. Located on the top floor with a balcony with a panoramic view, a Jacuzzi with chromotherapy for 4 people on the private outdoor balcony. WITH SOPPALCO: mezzanine sleeping area, private balcony. FAMILY: large room with 4 extended beds and with the possibility of adding an additional camping cot. In addition you can have a larger size and sea view (Family Superior), or with Jacuzzi for 4 people and panoramic terrace (Family Overview). Hotel Ferretti Beach has a garden with a open-air porch, a heated swimming pool with hydromassage, a wellness center, a reading room, a conference room, a laundry, a beach towel, a lift, a bicycle rental for a fee, and a bike area. Theme nights are organized. PARKING: uncovered, available for all, for a fee. PETS: animals of all sizes are allowed free of charge. BREAKFAST: sweet and salty, American buffet with eggs, bacon, sausages cooked at the moment on request. LUNCH AND DINNER: at the Marea restaurant, traditional dishes, meat, fish. VARIATIONS: diet menu, for celiac, vegetarian and vegan. In hotel: children's pool, game room , live entertainment, baby club, baby sitter, strollers. At meals: baby menu, baby food, seats at the table, bottle warmer. Outdoor pool of 14 sqm with heated water, low-bottom area, hot tub, WI-FI area. 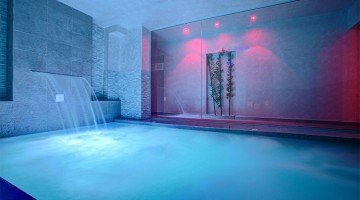 MY SPAce wellness center with heated pool with hydromassage, aromatherapy, chromotherapy, Finnish sauna, massages (performed by certified expert masseuses), beauty packages, relaxation and healing. The hotel has an agreement with the bathing establishments n. 55 and 56 with. At guests' disposal: illuminated basketball court, 2 beach volleyball courts of which 1 lighted, illuminated beach tennis court, ping pong, gym, playground, 2 hot tubs for 10 and 7 people, reading gazebo, relaxing lounge , bar-restaurant, hot and cold showers, beach umbrella with ventilated effect, live entertainment, baby sitter. Do you want to know why it is better to book early? In so many years that I do this job, they always ask me the same question: "Matteo, why do I have to hurry so much to book earlier without the last second?" Getting ahead of the times will not only save you time and money. At the Ferretti Beach Hotel Winter is over and the Easter weekend promises to be full of events and interesting things to visit in and around Rimini. What better opportunity to visit Rimini and Ferretti Beach in view of the summer holidays? 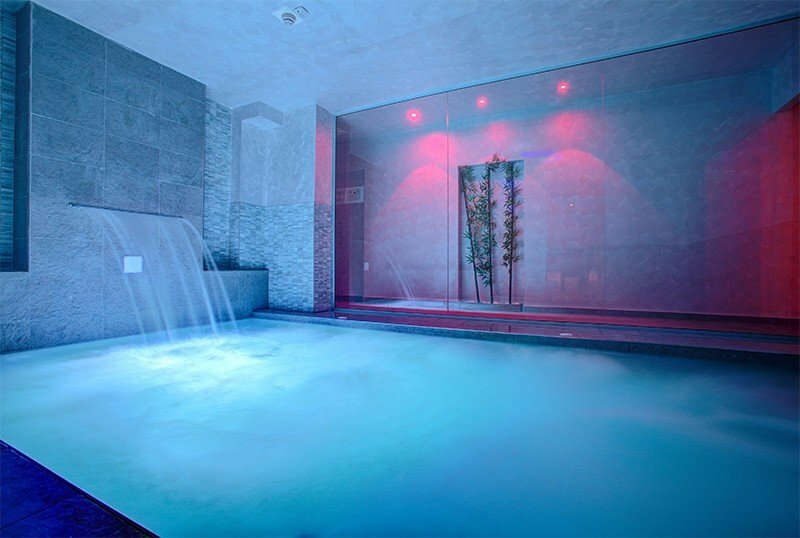 Full board, fresh style rooms equipped with every comfort, young staff, Easter Lunch, Water with meals, Use of the Spa (for all younger guests the spa is accessible in the morning), entertainment. How to do for the Liberation Day? With this offer for the April 25th bridge at the seaside of Rimini you will be assured of a special holiday in the heart of Romagna. For the first taste of summer, you will find a great location for a fun weekend at the theme parks or for a few days of relaxation at our wellness center, choose the hotel package: April 25th Hotel Ferretti Beach, having many advantages and excellent Romagna cuisine. What to do for the Labor Day? With this offer for the bridge of 01 May at the seaside of Rimini you will ensure a special holiday in the heart of Romagna.